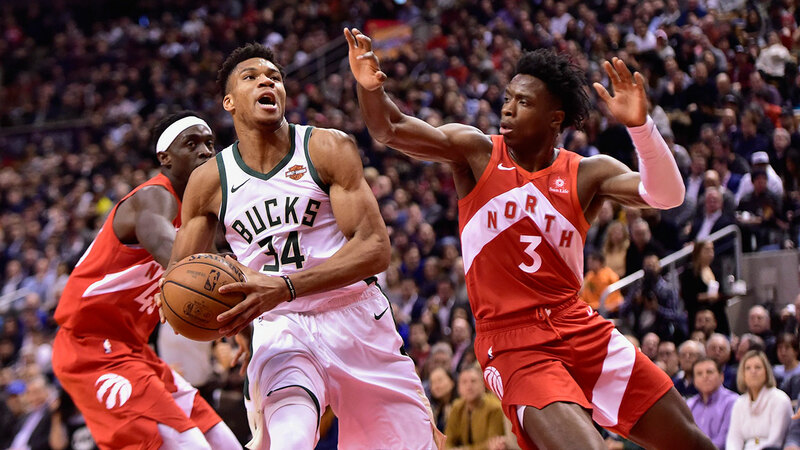 The Toronto Raptors have dropped three of their last four games as they lost to the Milwaukee Bucks on Thursday, 105-92. The other time that the Raptors lost at home and failed to score 100 points this season was against Milwaukee on December 9. The score in that game was 104-99. Pascal Siakam was the only standout performer for Toronto as he led the way with 28 points. Kawhi Leonard had 16 points and eight rebounds, Serge Ibaka recorded a double-double as he had 12 points and 10 rebounds. Kyle Lowry, Norman Powell and Fred VanVleet all had 10 points. All Milwaukee starters scored in double-figures, including Greek freak Giannis Antetokounmpo who was limited to 19 points and nine rebounds. Khris Middleton was rightly given his first All-Star honours as he shot 7-9 from the field to score 18 points. Eric Bledsoe was close to a triple-double as he had 14 points, eight rebounds and six assists. Malcom Brogdon and Brook Lopez had quiet nights as they both had 11. D.J. Wilson had 16 points off the bench, including three three-pointers. Veteran George Hill had 10. This was the first game since November 27 that Kawhi Leonard was held to less than 20 points. When in doubt, Leonard always drives to the basket. Norman Powell has a history of dunking in the playoffs, and against the Bucks in general. Kyle Lowry will make his 5th All-Star appearance as he was named a reserve. Official: @Klow7 is a 5-Time #NBAAllStar! The Raptors host the Los Angeles Clippers on a Sunday matinee at Scotiabank Arena.